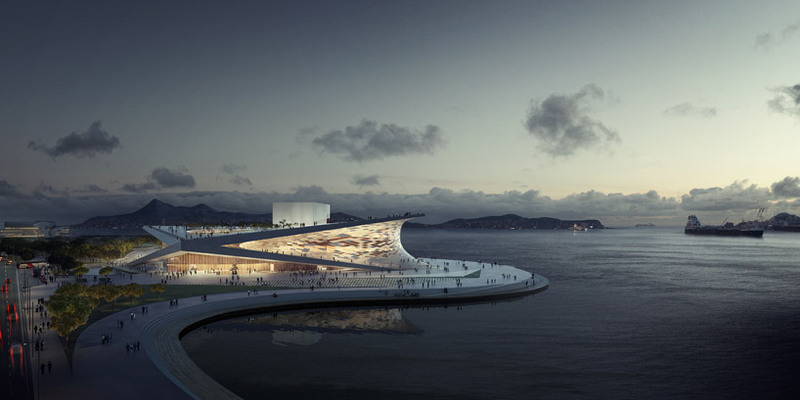 international firm snohetta has recently won the competition for the busan opera house in south korea. 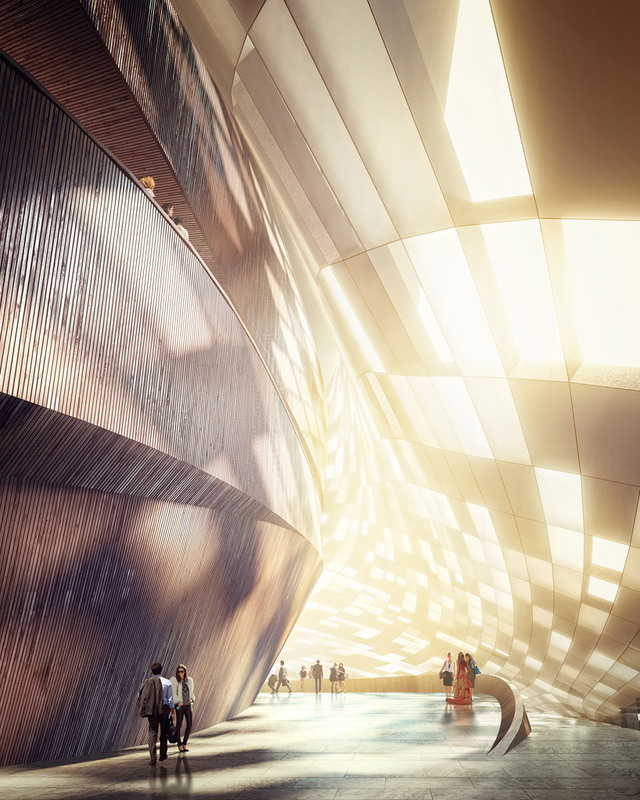 the project maintains the firm's preferred one-floor typology as the most efficient means of connecting the building to the site and optimizing the flow of circulation. the structure conceptually strengthen the ideology, as each separate element reaches to meet each other in specific moments. 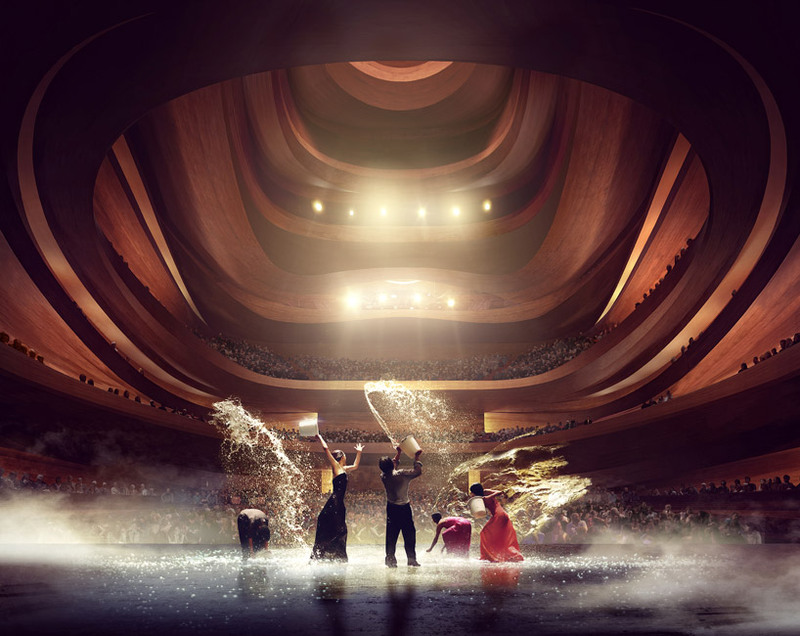 the heart of the opera house holds the auditorium, considered to embody the spirit of a musical instrument in itself, wrapped in solid cherry panels to differentiate its function from the public zones surrounding it, with special attention to perfect the resonance of each performance. the wood sections along the walls can be angled to modify and enhance the acoustics for each individual event. 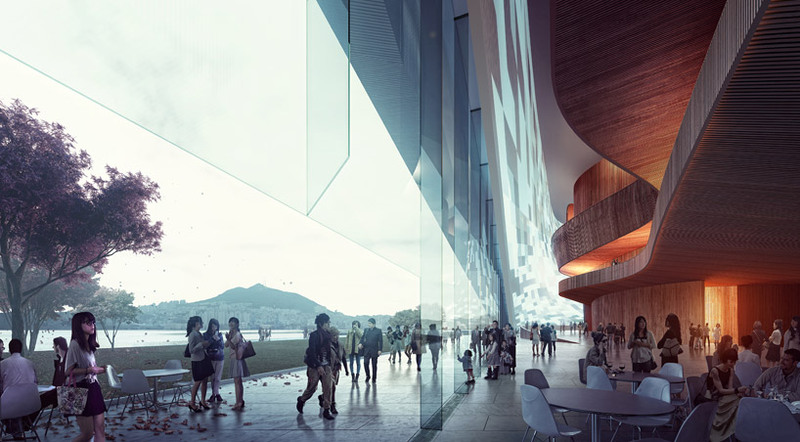 an exterior skin wraps the core, made up of a two-way system of cables that hold glass and marble sections creating a light-filled interior and transparency to the exterior, as a largely public space and also integrates it into it's unique context.